Juvederm is an injectable gel that is produced through Hylacross technology, creating a gel that is smooth in consistency. This gel has been proven to soften wrinkles and folds on the face, and increase volume by adding structure and by bringing creases back up to the surface. 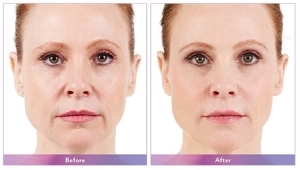 If you are looking to reverse the effects of aging skin, Juvederm may be the perfect option for you. Our team will work with you to create an individualized skin care plan that specifically targets your exact needs and aesthetic goals. Common areas on the body that are treated using Juvederm include cheeks, nasolabial folds, marionette lines, chins, and lips. Treatment times are short, generally between 30 to 45 minutes. 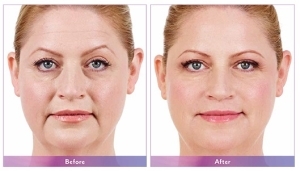 The results are instantaneous, which means you can enjoy a younger and more beautiful appearance immediately. Most treatments typically last between 6 - 9 months, after which the filler will gradually begin to diminish. Side effects following treatment may include swelling or redness on the first day and bruising that may last up to a week. The chances of these side effects occurring are greater in some patients, especially those taking aspirin or other medications that may thin the blood. If you are concerned about side effects, our nurse or physician injector can educate you on how you can decrease the likelihood of bruising from occurring. Let our Burbank Cosmetic Dermatologist Transform Your Appearance! 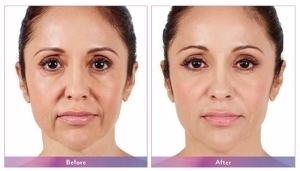 From dark circles under your eyes to wrinkles above your lips, Juvederm is an effective, quick solution to fix aging skin and give you a vibrant and youthful appearance. Speak with one of our Burbank Cosmetic Dermatologists today to begin a consultation. Our team only utilizes the most premium products and advanced equipment to maximize results. We have many satisfied patients who have transformed their appearance and enjoyed long-lasting results. Contact our Cosmetic Specialists today at (818) 284-4003 to set up an appointment!